Updated 26th January 2019. Highlights of Uganda safari tours include the 400 mountain gorillas in Bwindi, 10 National Parks, over 1000 bird species, 330 mammals and different primate species. This is the most updated guide about safaris in Uganda, from credible safari companies to activities, destinations and industry news! Uganda is one of the best safari destinations in Africa, the home to the mountain gorillas as well as the source of the Nile. Recently featured a top destination in National Geographic and Lonely Planet, Uganda safari tours cover more than 10 separate destinations. Everyday here is genuinely an African Adventure. Visit the 400 mountain gorillas in Bwindi in what is termed as the gorilla trekking experience, climb the ice capped Rwenzori mountains, take on a chimpanzee tracking tour, enjoy white water rafting on the Nile, see the Murchison falls and so much more as you observe Uganda’s scenic wonders- savannahs, wildlife, lakes and rivers; and also personally interact with the local people of Uganda! The options are endless! You will almost see all the animals you find in neighbouring Tanzania and Kenya, the difference is, Uganda is not a crowded destination! A perfect way to spy on the animals! Which Safari Company or Tour Operator ? There are many safari companies in Uganda, just to mention a few prominent ones, Insight Safari Holidays, Kori Safaris and Wild Whispers Africa. Most of the companies can take you to both Uganda and Rwanda for gorilla trekking and wildlife tours. Its important to find out whether a tour operator belongs to a certain professional association such as Association of Uganda Tour Operators, Tourism Uganda, Africa Tour Operators and many others. Why You Must Choose Uganda For A Safari ? What To See On Safari To Uganda ? Where To Stay On a Ugandan Safari ? Most tourist wonder what accommodation looks like, National Park lodges range from Budget to 5 Star facilities, all set to pamper every single need throughout your stay within this African Wild. Reside in lodges, or tented camps set in traditional style, or the beautiful bandas, enjoy the delicious meals delicately prepared by their professional chefs . In Kampala before you set off for your safari, you can check in at Serena Hotel Kampala, Cassia Lodge and so many more. In every attraction location you will find accommodation that suits your very needs. In Bwindi, you will find the luxury Mahogany Springs, Clouds lodge and Gorilla Forest Camp. In Murchison Falls, you will find the Chobe Uganda Safaris Lodge. 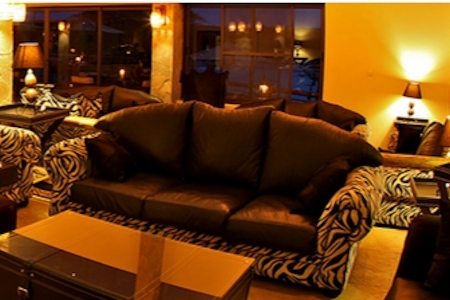 Mweya Safari Lodge is a good option for visitors to Queen Elizabeth National Park. In Buhoma alone where Uganda tours focusing on gorilla tracking is done, there are 15 accommodation options include Volcanoes safari lodge, Silver back lodge, Sanctuary Gorilla Forest Camp, Buhoma Community rest camp and many others. When To Go On A Safari in Uganda ? The most frequently asked questions about Uganda! Well, the answer is simple! You can visit Uganda anytime of the year! Its a warm and tropical climate here. The difference could be the cost of a safari, usually higher during the peak season. Average temperatures are 21.5°C and when they drop, its usually to a minimum of 12°C While its true that we have some rainy seasons, the rains are not so bad to stop you from traveling and enjoying a safari. May and April are usually discounted by many safari operators and Uganda Wildlife Authority itself by giving a discount of $ 150 less for a uganda safari gorilla permit. I hope you are realizing that this amazing country, this spectacular land, having the equator running through-it from east to the west, with the magnificent Rift Valley creating its mark from the South to the North and also the source of Nile river here that flows through Uganda northward to the Mediterranean Sea is all worthy visiting. June, July and August, December, January and Feb are the best months for game viewing in Queen Elizabeth and Murchison Falls National Parks. How Much Does a Uganda Safari Cost ? Lets try to do some costing together. Right? A Uganda gorilla safaris permit per person goes for $ 600 as of 2018. Accommodation ranges from 150 to 900 depending on where you choose to stay. Roughly a simple 3 day safari to Bwindi should cost about $ 1200 per person, that should be the cheapest. Other destinations such as Murchison and Queen Elizabeth could cost about $ 1000 for budget safari travelers. If you are to travel with other people, the price is incredibly reduced. If they are 2 of u, its possible to save over $ 300 on a 3 day trip. The country is repossessing this gleam! There isn’t any other African safari country on the continent just as Uganda a country that even stunned the ancient explorers. These were thrilled by its splendor, its natural wonders, and amazing people. This paved way for the first Uganda safari tourists. As modern means of travel became accessible to tourists Winston Churchill who journeyed here and explore across Uganda and was thrilled by what he discovered thus naming it “The Pearl of Africa,” and that was even before tracking of gorillas and chimps. What Makes Uganda Different from any other Traveller Destination? Uganda – unique unlike any other country in Africa hidden to many is symbolic ; most impressive scenic Wonders – the significant River Nile, the very powerful waterfall – the Murchison Falls, the highest Mountain Range the Mt. Rwenzori – the Mountains of the Moon, the Virunga Volcanoes, the most wonderful in all of Africa with Lake Bunyonyi plus Lake Mutanda. You will find sandy tropical beach Islands, the rare Mountain Gorillas, impressive Chimpanzees – this is the true representation of African wilderness all compacted into a tiny nation. Africa’s Friendliest Nations for Tourists! Welcomes all visitors from all over the world to come an explore this amazing country in accordance with the African Economist Magazine , the ancient explore Winston Churchill published in it after his trip back in 1907 that above all, the people of Uganda are very different from everything, and indeed they are. At times one might go through negative remarks about Uganda safari tours and Uganda as a nation without a pleasing mat – people who visit the country find it among the friendliest countries, gifted with a number of friendly people in Africa. The so much hyped gay bill has portrayed Uganda as unsafe, but this is not true. Its the media at work. Is tipping allowed? yes of course though there is no definite amount of money. 10 dollars and above should be okay. What is the Weather like in Uganda ? The conducive weather is another reason why the country is among the must visit destinations on the African continent. It experiences a temperate climate which makes it possible to enjoy the various safari activities all year round such as game drives, birds watching and gorilla tracking. Be sure to take the right safari clothing suitable for an African safari, be it a Tanzania safari adventure or Kenya holidays. There are 2 main reasons for its amazing weather which include its location on the equator as well as its geographical altitude that offer it a characteristic evergreen feature. Uganda is gifted by mother nature and endowed by the wealth and multiplicity of its people; it is genuinely the concealed safari beauty queen and awaiting you to explore it. All the reasons are pretty straight forward: the Mountain Gorillas, the abundant wildlife of Uganda, Uganda’s Bio-Diversity, the 1040 bird species, the impressive Chimpanzees, Lake Victoria, the snow capped Mountain Rwenzori, Virunga Volcanoes, and above all the hospitable Ugandan people, particularly the children and also Uganda as a secure safari destination will fascinate you, The Republic of Uganda is a mythic. The landscape is different, its climate is unique and then its people aren’t the same as those in other parts of Africa. Without a doubt just as Winston Churchill described in 1907, Uganda is the pearl of Africa thanks to its unfathomable gift of nature. Uganda is a landlocked country with the equator running across it. The country is blessed with fertile grounds, fine parks with plentiful wildlife, an attractive countryside with mammoth mountain ranges, rivers, lakes and waterfalls thus giving purpose to your Uganda safari. Safaris in Uganda can be such a spoiler from the many options you have to explore. Gorilla tracking exploration is a must go to once you arrive here. The beautiful vegetation and scenery will just leave you in awe. It is a very common occurrence yet breathe taking view to find Mountain gorillas and chimpanzees interacting in their natural habitat; the closeness of their activities to human activities is just an affirmation of their close resemblance to human life. Whether your interests are Chimpanzees, gorilla safari, game viewing, bird viewing, primates, white water rafting, mountain climbing, spot fishing, bungee jumping or cultural tours, Uganda has got you covered and still holds most of Africa most prized secrets. Where to go while on a safari in Uganda ? 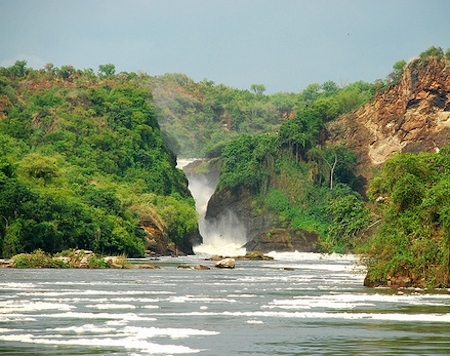 This is the largest conservation area in Uganda covering an area of over 3,840km deriving its name from its famous waterfall; the Murchison falls. These falls are formed when the Victoria Nile powerfully forces its way through a narrow cleft as it thrusts 43m down with a thunderous roar. These falls form the centre piece and this is th most visited. Man’s closest living relatives are Chimpanzees which share 98% of human genes. Throughout Africa they are found in 21 countries however they are better sighted in Uganda due to their dense populations. Kibale forest is very good for chimpanzee tracking trips however Uganda safari chimps can also be sighted in Budongo forest in Murchison Falls national park and also in Kyambura Gorge in Queen Elizabeth national park. This is by far Uganda’s most scenic and visited game reserve. A massive variety of habitats including the savanna grassland mixed with various kinds of trees and grassy plains as well as different swamps and volcanic features which include volcanic cones and deep craters and tropical rainforest give the park its distinctive look. Queen Elizabeth National park is an ideal place to sight large game, go bird watching on the Kazinga channel, and track chimpanzees in the Kyambura Gorge as well as the famous tree climbing lions in Ishasha. Though remote, Kidepo valley national park is a true nugget of Uganda’s nature with great savanna landscapes and rising mountains in its background. It covers an area of 1,442km2 with an altitude of 900-2750m. The population of visitors here per day (an average of six visitors daily) is not high and it is likely to be the only park left in the continent where you can have the opportunity to have the park to yourself. This is one of Uganda’s smallest wildlife parks although very rich in wild game. Plentiful of bird life flourishes here with more than 315 different bird species, a rich animal life including 68 different mammals like impala, leopards, buffalo, jackals and hyenas to see on a Uganda safari. Aside all this, it is only here that you will find zebras. Sipi falls is arguably the most gorgeous chain of waterfalls in Uganda sitting in the foothills of Mt. Elgon as they overlook a vast plain. The falls have three levels all with unspeakable beauty although the 95m main drop attracts more visitors to this place and more to that, Sipi’s lodging looks out over it. Spending a night or two in this spectacular but peaceful place is an encounter you cannot afford to miss. This is at most the loveliest lake in Uganda. The lake contains 29 islands and most of these are inhabited and terraced for agriculture. Enjoy seeing school children paddle dug-out canoes through the misty morning as crested cranes fly overhead in the wake of the morning. Lying just north of Kisoro, this scenic lake makes a relaxing base from which you can explore the area as well as track the famous mountain gorillas in the nearby Bwindi Impenetrable forest. The misty Virunga ranges in the background, papyrus swamp with plentiful opportunities of Uganda safari hikes, bird watching and a range of water activities all to yourself leave you envying the inhabitants of this place. Arguably the most biologically diverse area on earth, with half of only surviving population of endangered mountain gorillas in the world, Bwindi impenetrable forest is a must go destination once in Africa. This Africa’s treasure was recognised by UNESCO as a world heritage site mainly for its biological significance. Located near the town of Fort Portal in the Western part of Uganda, east of the Rwenzori Mountains. The evergreen rain forest covers 766km2 and an altitude ranging between 110 and 1600m. This forest is one of the few remaining expanses that contain both montane and lowland forests forming a never ending forest with Queen Elizabeth national park. This impressive range of mountains is located on the border between Uganda and Democratic Republic of Congo. Its highest snow capped peak Margherita stands at a height of 5109m. It stretches to about 110km in length. This UNESCO world heritage site includes an astonishing range of landscapes, from the bizarre afro-alpine moorland to the thick tropical rainforest on the lower slopes and lastly the glaciers at the highest reaches. This park lies on the border between Kenya and Uganda. Mountain Elgon by far has the largest surface area any extinct volcano in the world has with a caldera that covers over 40km2 at its top. This is the second highest mountain in Uganda after mountain Rwenzori and its highest peak Wagagai sits at a height of 4,321m. This is a lush archipelago of 84 islands sitting along the north-western shore of Lake Victoria. The stunning white sand beaches make Ssese Islands a great place to kick back, relax to a good book read after your Uganda safari. You can enjoy a good canoe ride but you are advised against swimming due to the risks of biharzia and the occasional visits of hippos or crocodiles. The parks spans to a 220sqkm of valley floor that constitute a link between the heights of the huge steaming jungles of central Africa and EastAfrica. Intriguing wildlife as well as sulphur hot springs that can be spotted on a short day walk all call this home. Aside being the chief reservoir of the Nile, it is also the largest lake in Africa and the second world largest fresh water lake. In the centre; great plateau there is a shallow depression in which Lake Victoria fills with its waters and this stretches between the Eastern and western rift valleys. Make tourists who come to Uganda often go to other East African destinations for safaris and tours. 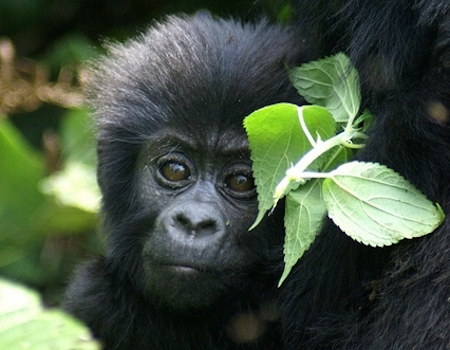 Notably, Rwanda safaris are preferred for a double gorilla trek in 2 different countries, i.e Uganda and Rwanda. Other tourists combine their Ugandan safari with visits to Tanzania, Kenya, Rwanda and Congo.